On Friday, the Spanish royals gave us a treat: bejeweled daytime outings from both of the nation's queens. 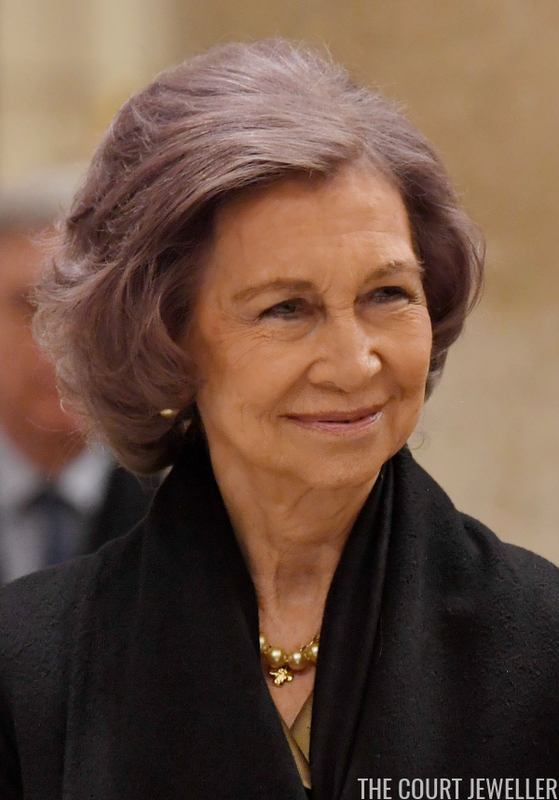 Here's a look at the jewelry worn by both Queen Letizia and Queen Sofia. 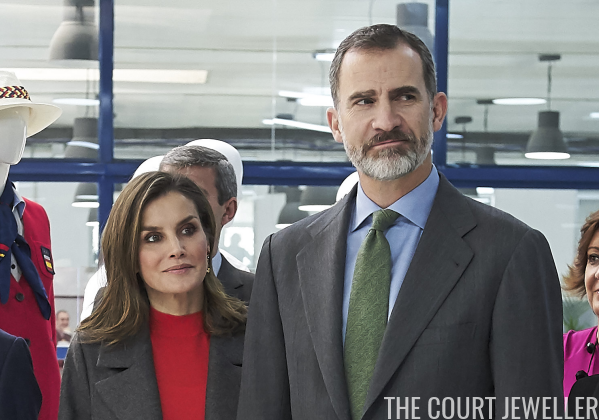 King Felipe and Queen Letizia spent Friday in Portillo de Toledo, where they toured the Joma Sport factory. Letizia wore a pair of dangle earrings set with orange and greenish-yellow stones for the visit. The earrings also feature golden triangular elements. Here's a look at Letizia's entire ensemble from the visit. 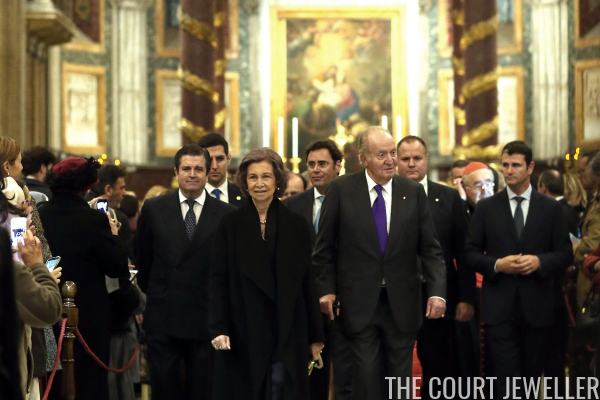 As Felipe and Letizia toured the factory, King Juan Carlos and Queen Sofia headed to Rome. 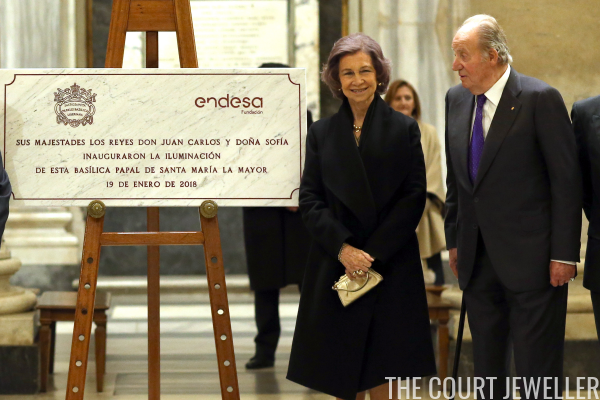 Juan Carlos, who recently celebrated his 80th birthday, was born in the city during one of the family's periods of exile. Juan Carlos and Sofia were visiting for a purpose: attending the dedication ceremony for new lighting that was recently installed in the Basilica of Santa Maria Maggiore. The project was completed in part by a Spanish electricity firm, Endesa. Sofia chose a suite of golden pearls and a simple golden necklace with a pendant charm for the inauguration ceremony.